We came very close to experiencing a “Camino moment” today when we walked much further than we planned. 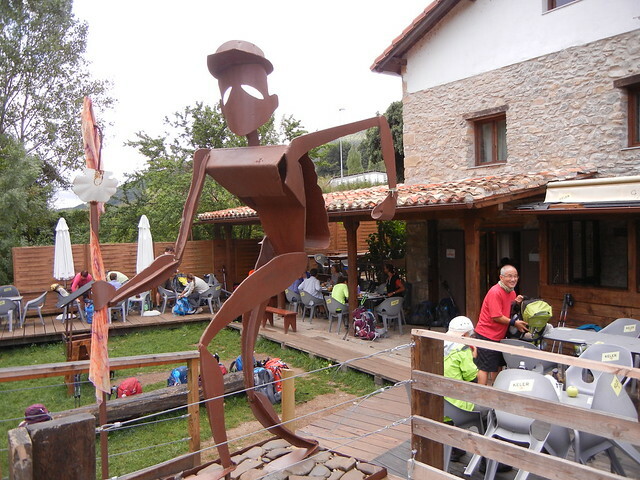 Our destination was the Navarra Hostal, Pamplona, where we considered spending two nights. We didn’t phone ahead for a reservation, which would have been a good idea since the hostal was full and we walked about one kilometer out of our way to find that out. Walking to Pamplona would have been just 15.8 kilometers from Larrasoana, but instead we ended up walking all the way to Cizur Menor for a total of 22 kilometers, with 9.7 kilometers of it being on pavement. It turns out that we didn’t need to rush after all. Only seven of the ten beds in our room are occupied. Everyone in our room speaks English, which is how the Roncal family organize the accommodation. Leo’s was one familiar face we were happy to see here in our room. He’ll be sleeping in the top bunk directly above me. Dave and I are in lower bunks and that’s always a bonus when you have to get up in the middle of the night! There is a kitchen available for anyone who wants to cook, but we opted to have the pilgrim’s menu across the road. Who wants to cook when you can eat out? There is also a garden offering tranquility and a little pool that only turtles would love. The first half of the walk from Larrasoana to Trinidad de Arre was tranquil enough, but even then you could hear the hum of industry and highway traffic in the background. There was plenty of shade along the tree-lined river bank and lots of drinking fonts along the way. We stopped for breakfast after walking for awhile – a lesson we learned back in Roncesvalles. We had a spinach omelette, cafe con leche, a big glass of freshly squeezed orange juice (“dos jugos naranja, por favor.” I’m always happy to try out my Spanish!) The cafe con leche is so delicious, but I wish the cups were four times bigger! We had been walking for awhile from Larrasoana when a farmer with three small dogs on leashes came up the path from a field with a big basket of beautiful figs and held them out to us. I asked him, “Cuanto Cuesta?” thinking he wanted to sell us some, but no. He was offering them for free. Delicious! In the meantime, the dogs were having a great time running around freely, dragging their leashes in their wake. We came to Trinidad de Arre and had a quick look at the pretty basilica church (Convento de la Trinidad) by the bridge and got an extra stamp for our pilgrim passports. A pilgrim hospital has existed here since the 11th century. 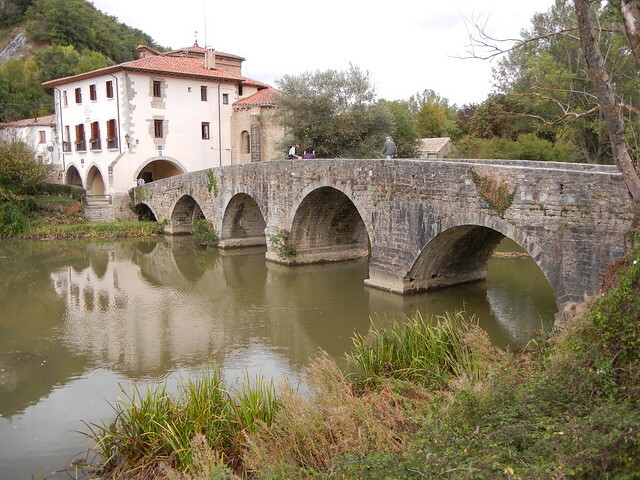 That bridge at Trinidad de Arre, is probably the one where Tom’s pack fell into the river in the movie, “The Way,” and Tom had to swim after it. 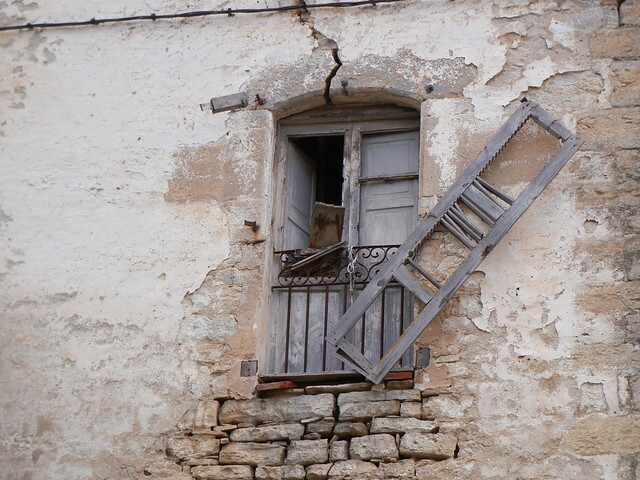 So here we are in Cizur Menor: exhausted, happy, and looking forward to climbing the Hill of Forgiveness tomorrow. This is such a fantastic way to experience Spain! Thank you so much for letting me experience your adventures.